British Red Ensign, also called the "Colonial Red Ensign" and the "Meteor" Flag,was adopted by Queen Anne as the new flag for England and her colonies in 1707. This was the best known of the British Maritime flags, or Ensigns, which were formed by placing the Union flag in the canton of another flag having a field of white,blue, or red. This flag was only used on ships during the Colonial period. This was the first national flag of the English colonies and Cornwallis surrendered at Yorktown under this flag. The Taunton Flag was one of the earliest of the colonial flags, first raised in 1774 at Taunton, Massachusetts. 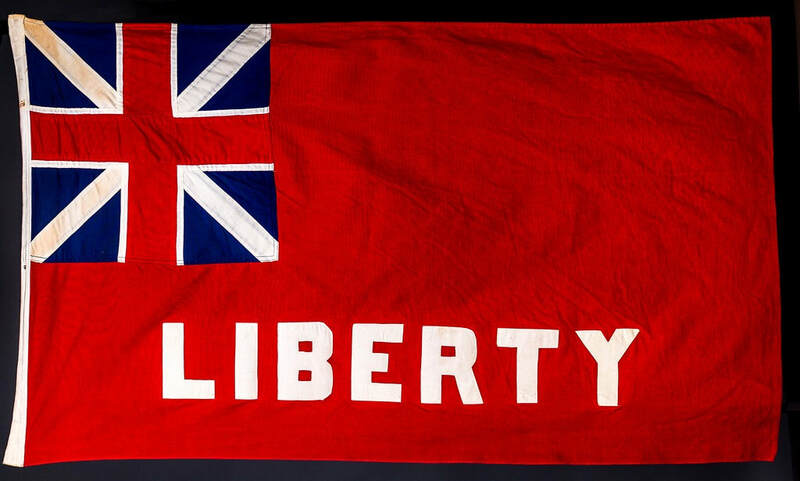 It was simply a Queen Anne Flag with the words, "LIBERTY" or "LIBERTY OR UNION" sewn onto the red field. The Boston Evening Post reported the incident and the idea caught on. 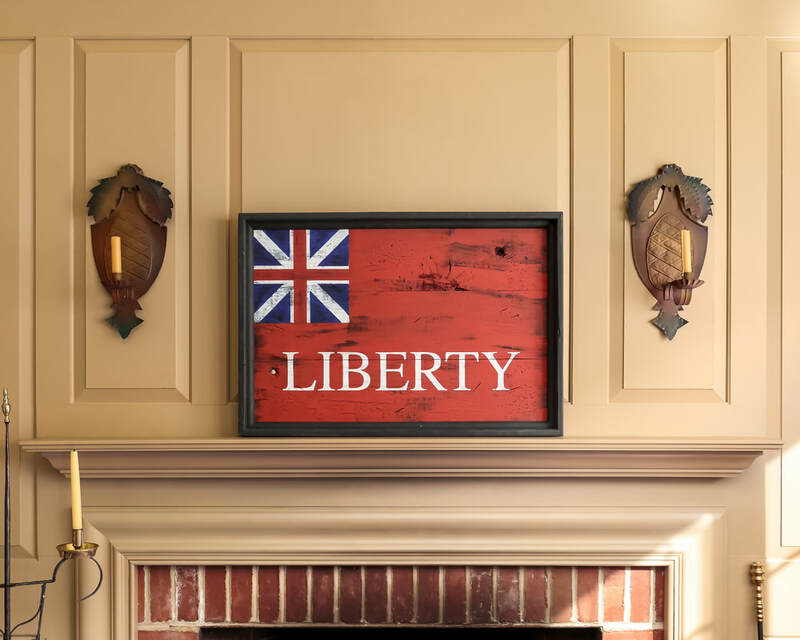 Flags with identical or similar mottos began to appear throughout the colonies soon after. 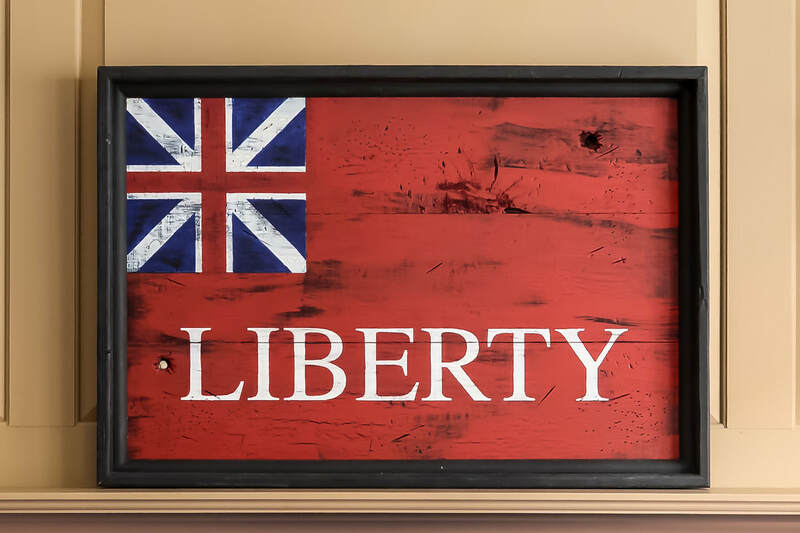 ​Flying the British Red Ensign would have been illegal for the colonists as the flag was reserved for military uses, but the Sons of Liberty flew this flag to symbolize the rebellion. Eventually, white stripes to symbolize their rebellion were added. This may have been the origin of the "rebellious stripes" label. 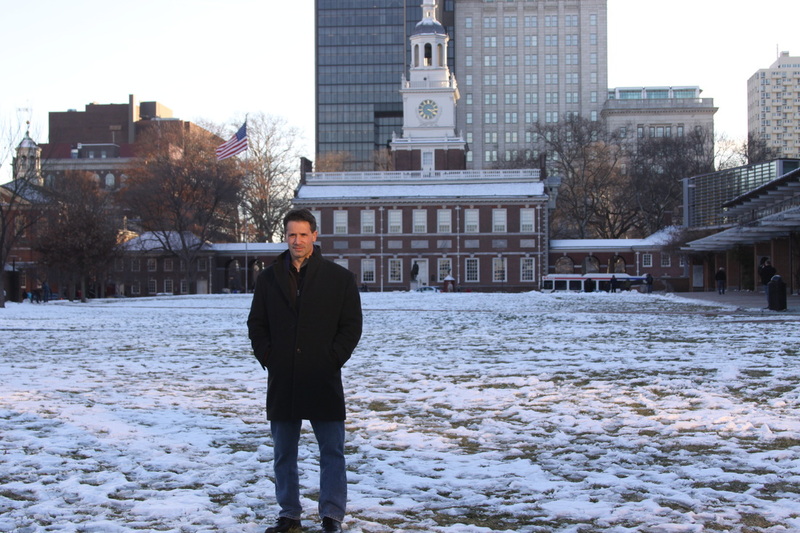 It appears the Sons of Liberty developed out of the British Red Ensign. Perhaps the colonists removed the Britsh Union Jack from the corner of the flag as gesture of defiance when the conflict began.